RMR shoots on the second complete weekend of each month from April through October. Our range is located at the Noxon Rod & Gun Club. Shooters need to be present at the safety meeting (9:30 A.M.) to shoot each day. Each day will be its own shoot, so feel free to show up for either day or both. Dry camping is available at the range. Single action revolvers, lever rifles of pistol caliber, and pre-1900 hammered pump, lever, or SxS style shotguns will be used at all stages. No magnum loads, lead bullets only. Lead shot only, #4 or smaller. Western attire required for all shooters and suggested for spectators. No tennis shoes, T-shirts, or baseball caps allowed for shooters. Eye and ear protection required for all shooters and spectators. *September shoot will be scored on Saturday, Sunday, or both days combined. Your choice. Also note, this year the September shoot is not on our regular weekend. 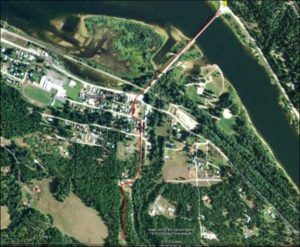 Off of Highway 200, turn south to the town of Noxon (big green Highway signs, go across the one-lane three span steel bridge). You will hit a "T" in the road, bear right and take an immediate left turn onto Miller Street. Go one small block, turn left on 2nd Avenue. As the road bears to the right (large brown house on your right and Hill Outfitting on your left), go straight through the green metal gates. Go straight up the gravel road (watch out for the pot holes) and you will come upon the white Noxon R&G Club house. There are roads around each side, drive to the back side of the club house, go up the hill and you will end up at the trap range. You can park in front of the trap house (campers) or near the outhouse (cars, trucks). Big Whiskey is about a 100 yard walk to the east down the two-track on the south side of the trap house. Can't miss it. This may sound confusing, but Noxon is a small town. From Highway 200 to the range (straight south) is only about 1 to 1.5 miles. All the intersections will be marked with a shoot sign.